A poster that's turned up online today, seemingly showing the title and main character of the next Assassin's Creed game, appears to have two sides. You've seen the front, of course, but here's what a tipster says is the back. 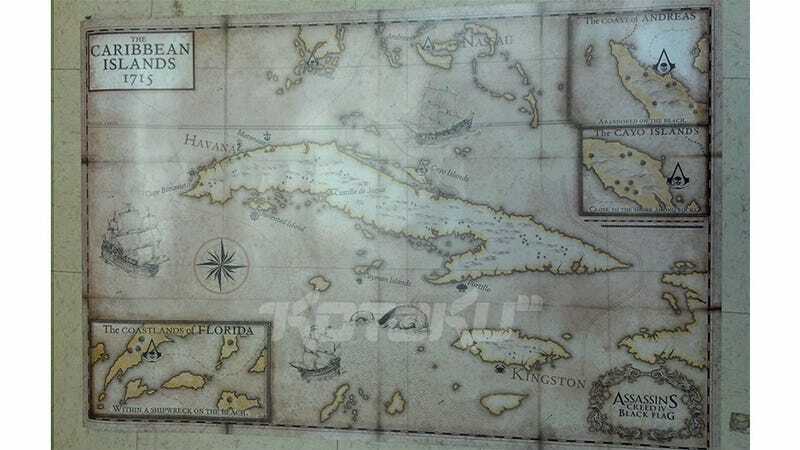 As you could probably guess from the piratical theme, the image would suggest the game is set in the Caribbean, though interestingly this map shows only the Western half, incorporating what's today known as Cuba, the southern tip of Florida and Jamaica. Ubisoft hasn't formally spoken about the next Assassin's Creed just yet, aside from the fact that it will star a new character and feature a new setting, and also that it will be out next fiscal year. You can see a larger version of the image below.